Hey folks! Would love to get your ideas on some things. As always, thanks for your support to make these great game products a reality! Backers of our recent Kickstarter will soon receive a new and improved version of our 5e Rules Summary. This 5e Rules Summary was originally featured on Enworld back in 2014. Since then we’ve expanded and improved it! This product functions as a GM Screen which you can use as inserts to a 3 panel customizable GM screen or a 4 panel customizable GM screen. You can also use them as handouts. 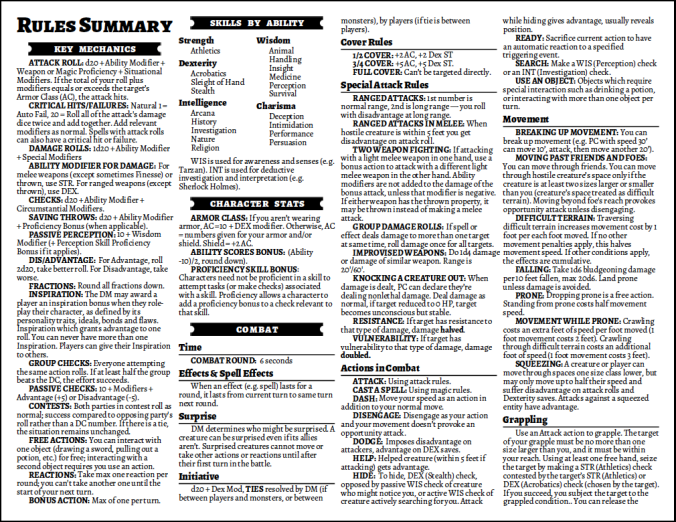 Print and hand out the first two pages (1 double-sided sheet) which summarizes the most common rules used by players. Pages three and four are geared for the Gamemaster. I like to print them out on colored cardstock. 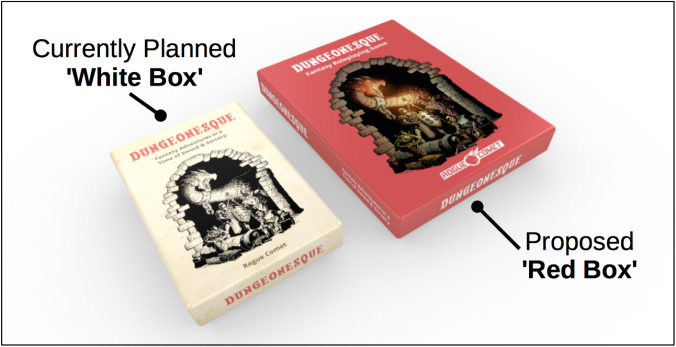 Something we’re talking about is adding a Dungeonesque Compatibility License to allow consumers to label their products as 5e / Dungeonesque compatible. We’d love to get your feedback! We Did It! 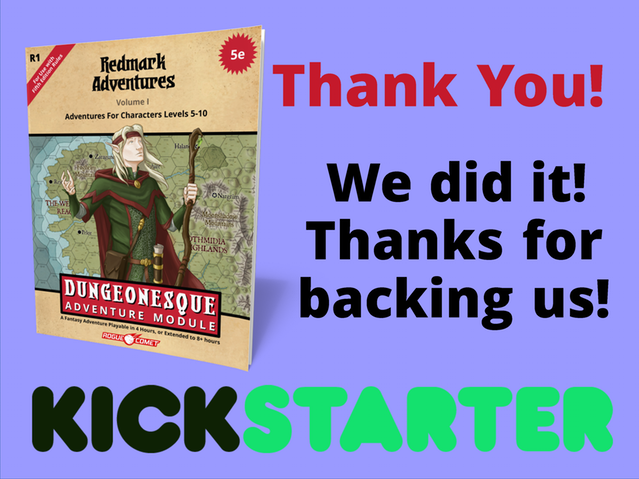 Our First Kickstarter Funds! We did it! Thanks for your support! Stay tuned for more details on the delivery of this current Kickstarter’s products, as well as exciting news about the future products which your generous support will enable us to undertake! Rogue Comet is currently working on a new product called Dungeonesque™. Stay tuned to this blog for future news about this exciting new product.